James Walden Penn, 78, of Cynthiana, died Tuesday, November 28, 2017, at his residence. He was born in Harrison Co., Kentucky September 18, 1939, the only son of Walden Pickett and Wilma Caldwell Penn. 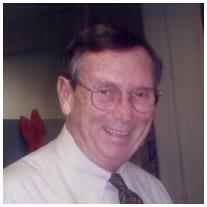 Jim was a member of the First United Methodist Church, an honorably discharged Army Veteran, a Kentucky Colonel, member of the Robert M. Sirkle Masonic Lodge #954 and a retired employee of the State of Kentucky Revenue Cabinet. He is survived by his wife, Sharon Insko Penn, 3 children ,2 step children and 4 grandchildren. Funeral services will be 1:00 PM Monday, December 4, 2017 at the Drake-Whaley-McCarty Funeral Home, officiated by Dr. Ted Beam. Burial will follow the service in the Battle Grove Cemetery. Friends may call after 11 AM Monday at the funeral home. Memorial contributions may be made to the First United Methodist Church or Bluegrass Care Navigators.